St. Mary's County sheriff's spokeswoman Cpl. Julie Yingling confirmed that three people were wounded in Great Mills High School in Maryland, including a male student and a female student as well as the perpetrator, who was injured by a campus security officer. All those wounded were taken to the hospital in critical condition and there were no casualties, according to the spokesperson. The perpetrator of the shooting attack in Great Mills High School in Maryland turned out to be one of the students, according to the sheriff's office. Three people have been transported from the scene following the shooting in Great Mills High School in Maryland, the Fox 5 DC broadcaster says. Earlier, the NBC broadcaster reported that many people were wounded as a result of the incident. According to St. Mary's department of education, the situation in Maryland's high school following the shooting has been taken under control. 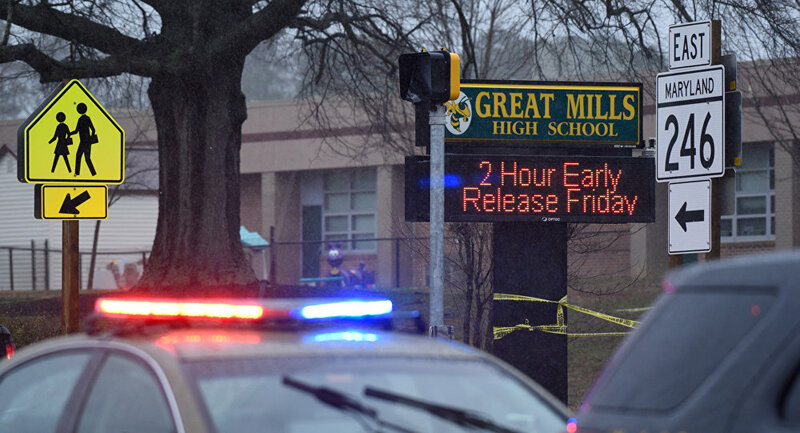 "There has been a Shooting at Great Mills High School. The school is on lockdown, the event is contained, the Sheriff's office is on the scene additional information to follow," the St. Mary's County Public School website said. One of the school's students said to local media that he believes seven people are injured, whereas at least one is dead following the incident. According to FBI spokesman David Fitz, the FBI agents are on the scene to assist the local sheriff's office. Special Agents from the Bureau of Alcohol, Tobacco, Firearms and Explosives (ATF) also headed to the scene of a school shooting in Great Mills, the ATF said in a statement. 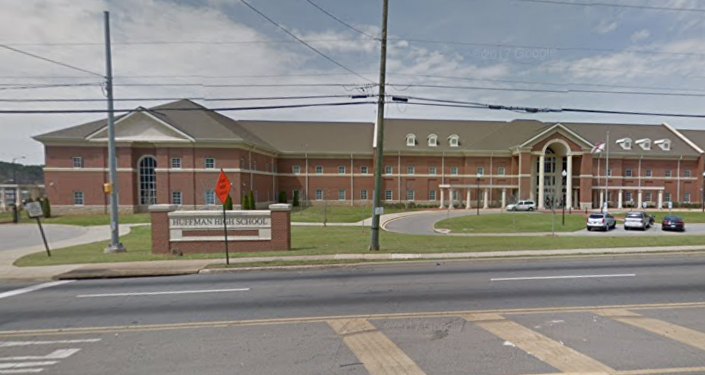 A Twitter post from the St. Mary's County Sheriff's Office asked parents not to report to the school due to the incident, but to go to a high school in nearby Leonardtown instead. Maryland's Governor Larry Hogan tweeted that he is monitoring reports. People are urged to follow the instructions of local law enforcement at the scene. The shooting in Maryland's school comes just a month after a massacre in Florida's school when 19-year-old Nikolas Cruz killed 17 people at Stoneman Douglas High School in Parkland.